London — Impact investment funds should be measured more strictly to ensure they are transparent about how much good their money is doing, the OECD said on Thursday, a day after a hoax letter on environmental investments hit global headlines. The funds, which promise social and environmental benefits as well as financial returns, could do more good if proper international standards were in place, said the Organisation for Economic Cooperation and Development in a report. "There is so much excitement in the sector, we need a common understanding to be able to measure and demonstrate impact," the report's lead author Karen Wilson told the Thomson Reuters Foundation. "Some of them are already demonstrating that impact and others aren't. If they want to call themselves social impact investors they should be serious. Good intentions are not enough," she said. Public authorities have a responsibility to set standards to counter the risk of "impact washing" - where firms seek to disguise unpopular practices or overstate the impact of their investments - said the OECD, an intergovernmental organisation. The report comes a day after a fake letter purporting to be from asset management company Blackrock promising a dramatic pullout from investing in fossil fuel companies sparked debate about environmentally responsible investment. The letter was actually written by the Yesmen, an activist group known for such stunts. Blackrock has spoken out about the potential impact of climate change on businesses, but some critics say it has been slow to stop investing in companies whose activities harm the environment. Awareness about how investments can affect environmental and social issues - both positively and negatively - is growing. 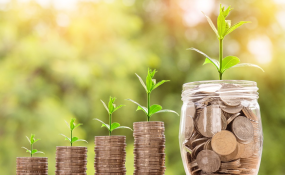 Data from the Global Impact Investing Network (GIIN), a non-profit organisation that promotes impact investing, shows the number of social investment funds has quadrupled over the past 20 years to 200. GIIN estimates the industry is worth $228 billion. Social enterprises, which reinvest their profits in causes, are often the benefactors of these funds. Despite this growth, there is no standard definition of impact investing. "There has to be some standards. It is wrong there could be impact washing," said Nigel Kershaw, chairman of the Big Issue Group, which has an impact investment arm. He said the standards need to be set by people who understand the issues and needed to be simple to ensure the emerging sector can flourish. "There has to be room for innovation. They cannot be over-complicated and burdensome," he said.